First, lead generation is the process by which companies acquire information about potential customers for their products or services. In general, these clients can be the result of a list of names and addresses, telephones, emails and etc. So when it comes to digital marketing, lead is your potential customer. Already when it comes to the strategy to generate these leads, we want to talk about the strategies that will be used by your company to convert these leads into customers. To facilitate, understand this way: every time a user fills out a form to download some kind of free stuff - an e-book on the web, for example - it automatically becomes a lead, as their information will be entered into the bank your company data. A lead is a person who, in some way, has an interest in some product or service of your company. In other words, instead of just approaching these clients through ineffective strategies (such as an intrusive link), customer/company communication happens primarily on the part of the user who has, in some way, been attracted to a product or service that their company offers. A simple example of this may be an online survey that you have decided to undertake and has had a handsome return of responders. From the moment they answered the small form you created before performing this search (such as filling in first and last name, phone number, or email), that user automatically became a lead for your company. If this user receives an email from your company later, asking how you could help them solve a problem or need, this process would be much less intrusive than if you just walked in as long as they offered your products soon for that user, right? It is from this business perspective that your company will be able to obtain these customer data in order to only then try to help them solve some problem, thus developing a more open communication, to meet their real needs. 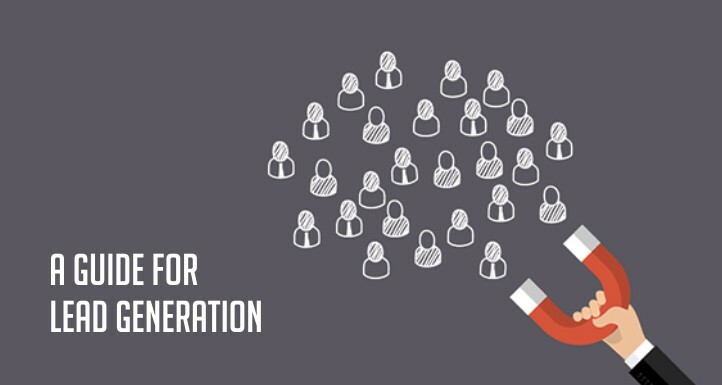 Why is lead generation so important? The buying process has changed dramatically. Marketers and businesses need to find new ways to reach the audience amidst a growing noise. Instead of using just not very effective means to reach people - such as mass advertising - marketers and businesses should now focus on what is really happening around the world and develop new strategies for more lasting relationships with their clients and futures customers. With the growth of the internet, the world has shifted from a shortage of information directly to a state of complete abundance and bombardment of information on all sides. According to Google President Eric Schmidt, nothing less than 5 exabytes of information was created between the dawn of civilization and the year 2003. And he still points out that this amount of information is created in the blink of an eye. A world rich in information means a world devoid of something else: the scarcity of all that information consumes. But what does information consume? The answer is obvious: it consumes the attention of its readers. And that completely transformed the buying process. Consumers today are overwhelmed with so much information and try hard to ignore what they simply do not want to hear. Today the consumer researchers and learns on their own and this has radically changed the way companies should relate to their audience. Why do you need to generate leads? Whenever someone outside the marketing universe asks how it is possible to generate leads (more customers), no one can simply answer that it is by creating relevant content for websites and blogs as there is an extremely comprehensive strategy behind it. Not to mention that the most misunderstood people would be lost with such a simple and vague answer. Instead, the best way to answer that question would simply be to emphasize the innumerable unique ways that good professionals use to attract people to your business. It is a process where these good companies deliver to potential clients what they really want and need, thus arousing the interest of each one, in the intention that they are part of their daily lives. Quite simply, this is exactly the lead generation process. Invest in a strategy that can warm up and arouse the interest of your prospects by guiding them throughout the process until they buy from your company. From the moment these people show a genuine interest in your business, they are starting to build a relationship with your company, making it easier and more natural to get information and, consequently, to close purchases. Once your company enters into this methodology called Inbound Marketing, lead generation reaches the second phase. It occurs after you have attracted the public and your company is already ready to convert these visitors into leads for your sales team. As you can see in the diagram below, lead generation is a key point in the journey each user has to go through to become a satisfied customer. How to identify qualified leads? Just as you already know, the lead is a person who has shown an interest in your company's products or services. Then it's time for you to understand in what ways that lead may have come to you. In essence, the lead is generated through the collection of information. It may be from a job seeker showing interest in a job by filling out an application, a client sharing contact information in exchange for a coupon or even a user who filled out a form before downloading an e-book, for example. These are just a few of the numerous possibilities for which companies could qualify leads. Each of these examples also highlights the amount of information your company can collect to qualify a lead and measure the level of interest they have in your company as this may vary. How about we evaluate some possible scenarios? So come on. Anyone who fills out an application form is willing to share some (several) personal information as he/she really wants to be noticed by the recruiters. Filling out this form shows the true interest in the job, so it is a way to qualify the lead for the company's recruiting team. Unlike applying for a job search, taking control of users who purchase coupons from your company is a difficult task. But if these users find coupons valuable enough, they will certainly be willing to provide thename and email address in exchange for these coupons. While not a lot of information, it's enough to let you know that these users have some kind of interest in your business. While downloading a coupon is evidence of a user's unique interest in your products or services, richer content (such as an e-book or webinar) does not show the need for it in the same way. So if your company really wants to understand the nature of a particular user's interest it needs to collect more and more information that is sufficient for a sales representative to take action and see if that prospective customer is really interested in their products and if they really cater for it. These three basic examples cited above showed how lead generation is different from business to business, from niche to niche. However, the process is the same: your company will always need to collect enough information in order to assess whether some of these people actually have a real interest and need to buy your product or service. To know just how much information it will take to develop a strategy you need to evaluate your business and your goals. How do we collect relevant information about our leads? Name: It is important to know the first name of your leads, to maintain a contact in an intimate and personal way. Corporate Email - Collecting the email address of our users allows us to create strategies based on email marketing campaigns. Cargo - So we can understand the role of the lead in your organization and what will be the approach to start a conversation with him. Phone number - Usually used the moment the sales force takes action in order to achieve leadership and initiate a conversation with the lead. Website - allows us to better understand the lead business or company. A number of employees - help us and have more information about the size of the lead company. In addition to these, several other fields can be inserted into the pages. It will all depend on your type of business and what information is most relevant to you when it comes to getting to know your lead even more. Now let's get back to basics. How do the mechanics of lead generation work? Now that you've understood how lead generation fits into the entire Inbound Marketing methodology, it's time to review what the actual components of the lead generation process are. The landing page is a web page (known as a landing page) where the user arrives for a different purpose. A landing page can be used for various purposes, but one of the most frequent is to capture user information through forms. The forms are usually on these landing pages and consist of a series of fields (as in the example above) that are responsible for collecting information before the user clicks the button to receive an offer. The offer is the content or some valuable material that your company offers on the landing page. Remembering that this offer must be of sufficient value and relevance to make the user feel at ease and willing to exchange personal information in order to access this offer through the CTA (download). By putting all these elements together, your business can start exploring new channels and media to drive more traffic to the company's website or blog, and start generating your own leads.